Artist? Installation | Graphic Design New York | Clare Ultimo Inc. In a playful mixed-media exploration, I asked three hypothetical questions to the "artist of the 21st century" in this MFA show at Hunter. 1. 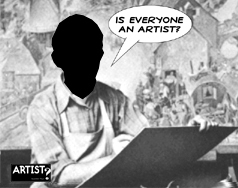 Is Everyone An Artist? 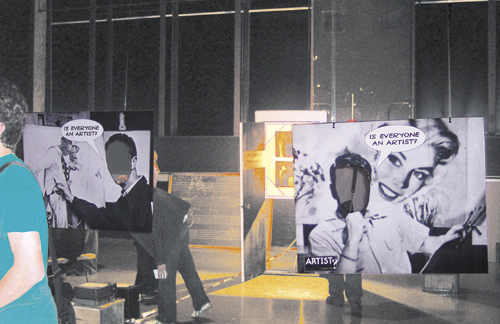 Interactive installation hung from ceiling shown on right. 2. 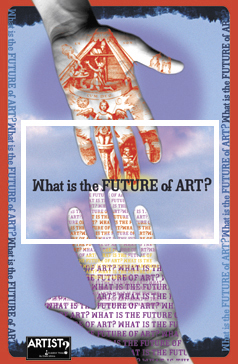 What is the Future of Art? Poster that makes the dubious connection between fortune-telling and making art. The video combines the idea of competition and the creative process. Click here to see video. 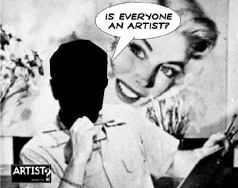 36" x 24" Posters with cut-out areas for viewer participation asked the first question. 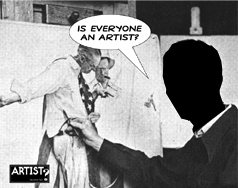 The Photo Gallery below proves that it must be true...everyone is an artist!